An IT support provider based in Birmingham has revealed their most amusing and intriguing IT ‘issues’ reported to its helpdesk during 2018. 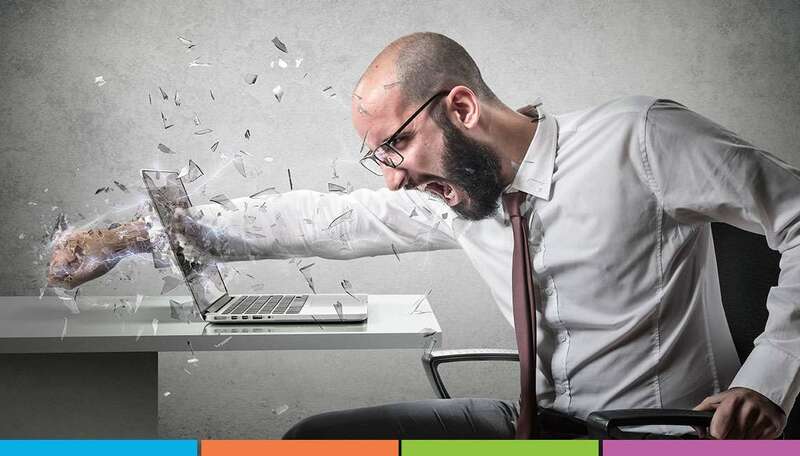 From punching a laptop screen to irritating pop-ups that just needed closing, this company certainly had their fair share of amusing problems to deal with. We felt this news story was certainly worth sharing with our customers. One frantic caller got in touch to advise their laptop was unusable and full of viruses – it turned out they’d been using their work laptop to watch X-rated videos at home. One major business client called to report they’d lost their internet connection. After sending out a team of engineers, it was discovered that the internet was down due to an employee in the business’ finance team cancelling their BT line to save £20 a month. This cost the business thousands in revenue and took almost two weeks to get back online. An entire corporate network had gone down several times, with the servers going offline. Investigation from the engineers found that someone had cut through, then repaired, the main power lead supporting the servers. They had then repaired it with a part designed for domestic use and gaffer tape. Nobody came forward to take responsibility for this wiring disaster. One caller reported, ‘I can’t view websites as ads keep getting in the way’ – these were just web pop-ups that they needed to close. A recent call about a faulty PC went along the lines of, ‘My PC won’t work, it just won’t login’. The IT helpdesk tried to talk the user through some basic fixes, though the user couldn’t locate his PC tower unit which was sat under his desk. A user who’d seemingly ‘broken’ their company’s IT network, but had really just turned the WiFi off. A user who couldn’t see or hear anything that was happening on their laptop. Upon sending out an engineer, it was discovered that the user had inadvertently turned the screen’s brightness off and muted the speakers. You can always rely on Arc Systems! We are not sure we can beat any of these IT ‘issues’, but remember our team are always on hand to deal with your IT problems. View our IT support packages.